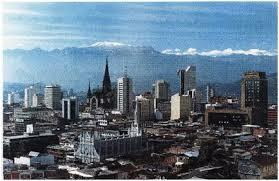 Ciudad de Manizales y Nevado del Ruiz al fondo. Manizales – Estructura Ecológica Principal Urbana. suelo; granulometría; Plasticidad de los Suelos, Plasticidad y Consistencia de los Suelos; Índice plástico; Carta de Plasticidad; Clasificación de los Suelos; Identificación de los Suelos; Clasificación SUCS; Clasificación de la AASHTO; Capilaridad; Propiedades hidráulicas de los suelos; Ley de Darcy; Redes de flujo; Permeámetros; La erosión del suelo; la erosión y su relación con el agua; el agua en el suelo; Consolidación de suelos; Asentamientos; Esfuerzos en el Suelo; Esfuerzos geoestáticos, esfuerzos por sobrecargas, Esfuerzos efectivos; Presión de poros; Esfuerzos neutros; Teoría del círculo de Mohr; Teoría del Polo; Esfuerzo cortante en suelos; Ensayo de Corte. Revestimiento de túneles, presión de agua en túneles, esfuerzos galerías; hastial, techo muro, y piso, bloque crítico; Barton Lien y Lunde; Índice de Calidad de Túneles NGI; Parámetro Q de Barton; carga de roca; ábaco de Hoek and Brown; Línea de Autosoporte; Clasificación de Deere; Godues; Ferrocarriles en Colombia ; Mares de Colombia ; Navegación del Magdalena; El Tren Andino; Hidrovías en Colombia ; Manizales; Caldas, Colombia; Eje Cafetero, CTS, CT&S, CT&I, Investigación en Geociencias, geofísica e ingeniería, Manual of Geology , Tunnel, Soil Mechanics , Risk management , The Moon , Economics for the builder , Geophysical aspects of the Andes of Colombia , Geomorphology , Glaciers and deserts , Underground water , Surface water , Movements bulks , Earthquakes , Mountains and orogenic theories , Metamorphic Rocks , Rock mass , Structural Geology , Geologic time , Sedimentary Rocks , Weathering or weathering , Igneous Rocks , Volcanism , Minerals , The solid Earth and fluid , The Solar System , Matter and Energy , Geological cycle , Origin Soil , Soil formation and constitution ; Clays, Relationships for Soil volume and weight, Soil structure and particle size, Plasticity of Soils, Classification and identification of soils, Capillarity; Hydraulic properties of soils, Flow Networks, Soil erosion and its relationship with wáter, Consolidation of soils, Strain in Soil, Mohr Circle Theory, Shear stress in soils , Triaxial and failure envelope, Compaction of soils, Exploration and soil sampling, Table of factors – equivalents and units ; Geotechnical and Environmental; Geomechanics for engineers, engineering geology, civil engineering, agricultural engineering; agrology, hydrology, construction engineer, geodynamics, hydrogeology, geology of Colombia; geology manual, manual for engineering geology; Manualgeo, the rock cycle, matter and energy; the solid earth and fluid; solar system, ecology, environment, minerals and rocks, economic geology, weathering and soils; rock masses; geodynamics and geomorphology, earthquakes and landslides, glaciers and deserts, rivers and mountains, geology of mineral Colombia , quartz, hardness, silicate, oxide, sulfide, crystal ore; ferromagnesian, pyrite, gold, clay bond; carbon geological faults, rock mechanics, solar system, weather, climate of Colombia; bimodal climate, ENSO, climate change , global warming, climate change adaptation, extreme weather events, La Niña and El Niño, geomorphology, cycle, eras, weathering, water, climate, change, matter, energy, gravity, electrical, chemical, solid, crystallization erg; spectrum , radar, magnetics, satellite, the sun, moons and planets comets and meteors, Kepler’s laws, escape velocity, solar system formation, environmental issues, atmosphere, lithosphere, hydrosphere, mold, thermosphere, ionosphere; asthenosphere , climate, volcanoes, Colombia; Machin; Ruiz, Galeras, Huila, Cerro Bravo, Quindio, Risaralda, Caldas Magdalena River; Chocó Orinoco, Amazon, Colombian Andes, Andean tropics, volcanology, volcanoes, crater dome; boiler eruption , Lava, ash, pumice, Plinian; flow; magma; tefrocronología; Rhyolith; volcanoes, igneous rock, andesite, basalt, granite, Bowen, crystallization, olivine; Streckeisen, lahar, weathering, weathering, soil carbonates, leaching, carbonation; oxidation; andosol, alteration, hydrothermal, tectonic clay montmorillonite; horizon saprolite; calcareous sedimentary rocks, sandstone, shale, conglomerate, diagenesis; consolidation; facies; lithification; geologic time; Paleozoic, Cretaceous, Precambrian quaternary Jurassic; Holocene, Mesozoic, Cenozoic, primary, secondary radioactivity dating; correlation; fails; factory textural, structural works, structural geology; fold; diaclasa; syncline, elasticity, plasticity, deformation, stress, break; traction sinclinorio; geosyncline; solid rocky; discontinuity; wedge; roughness; course; dip; stratification foliation, RQD, metamorphic rocks, solid attitude, metamorphism, marble, schist, gneiss, prograde, slate, phyllite; neocristalización; epidote; Hornfels; metasomatism; mesozona; mountains and orogenesis, orogeny; mountains; land; craton; Manizales, earthquakes, earthquake epicenter, seismograph, intraplate, frequency, accelerogram; seismic risk in Colombia, coda, amplitude, Mercalli, Richter; tsunami amplification; bulks movements, landslides , landslides, flooding, slope, instability, threat hydrogeological, mass movements, groundwater aquifers, wells, artesian, NAF, stalactite, karst, sinkhole, sinkhole, porosity, permeability, capillarity, surface water, tidal, stream, river; infiltration, precipitation, cycle, hydrological, Magdalena; hydrosphere; Amazonas drainage competition ability; loading; river; glaciers, deserts, ice; pleisoceno; moraine; crack; dune, dune, Barjan, storm, snow, firn, ice; fjord, coriolis, kettles, windward, leeward, pedestal, climate, trade winds, glaciers, deserts, landform; Cumanday Tunnel, Tunnel Line, photo interpretation, tone, color, vegetation, diagnosis, texture, Hogback, Flatiron, morphology, hummocky; relief; erosion morphostructure; soils, soil mechanics, geotechnics, geomechanics text, books for engineers, college textbooks, history of geotechnics, soil origin, soil formation; physical chemistry of the clays;clay classes; soil special, limos, arenas, gravel, volume and weight ratios for soils, specific gravity, unit weight, void ratio, soil structure, grain size, plasticity of soils, soil consistency, plastic index, plasticity chart; classification of soils, soil identification, classification USCS, AASHTO classification; capillarity; hydraulic properties of soils; Darcy Law; flow networks; permeameters; erosion soil erosion and its relationship with water, the water in the ground soil consolidation; settlements; efforts on the ground geoestáticos efforts; efforts overloads; effective stress, pore pressure, neutral efforts; Mohr Circle Theory, Theory of Polo; shear in soils shear test , triaxial, failure envelope, soil compaction; trajectory efforts; Line Kf; exploration and soil sampling; embankments, páramos y humedales de Colombia, cuts, pavements, foundations, pressures geoestáticas; pressure bulbs; geological references; factors and geotechnical typical values, variables useful in geotechnical, geomechanical properties of the rocks of Manizales photogeological structural analysis; photogeological multitemporal analysis, training Manizales, Casabianca training; Quebradagrande complex; Colombian cordilleras; Cajamarca; Romeral, Cauca-Patia, rock mass classification, classification of CSIR; pressure Support in tunnels self-supporting while, drill and blast; galleries conglomerate; risk threat and vulnerability; susceptibility slip; slopes unstable seismic spectra; amplification seismic struts in tunnels, lining of tunnels, water tunnels pressure; efforts galleries, gable, roof and floor wall; critical block; Barton Lien and Lunde; quality index NGI tunnels; parameter Q of Barton; loading rock abacus Hoek and Brown; online self-support; classification Deere, the coffee; CTS, CT, CTI y CTIS; research in geosciences, geophysics and engineering, National University of Colombia, Duque-Escobar Gonzalo.